Inspiration – Love the bomb! 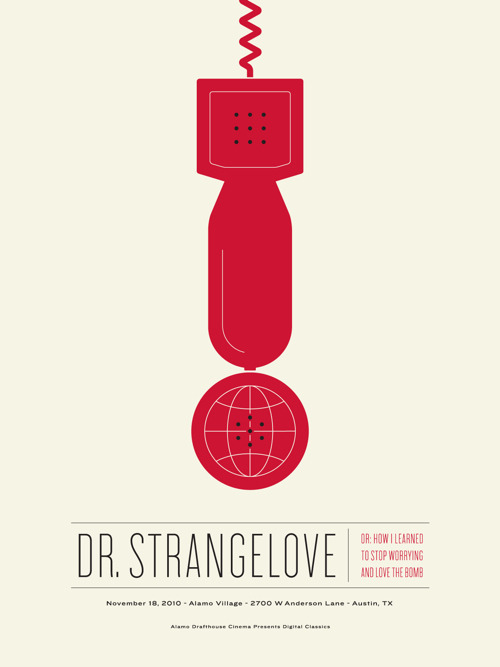 A friend, knowing Dr. Strangelove is my favorite movie, sent this along to me. I will be looking to see if I can find a print of this. It looks to be relatively limited. I love how the artist, Jason Munn tied in the red phone with the other, more obvious, themes of the movie. I shall leave you with a clip of the movie, and remember, you can’t fight in here, this is the war room!